Mintex is launching its new Mintex Classic range exclusively at this year’s Goodwood Revival. Using modern materials on historic back plates and platforms, the new range will ensure a wide range of brakes and shoe linings will be readily available to service the classic car market. 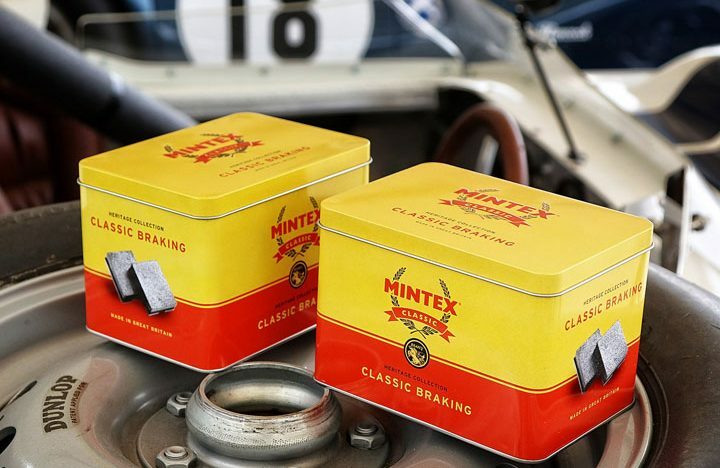 As well as providing brakes for the expert classic car enthusiast for road use, Mintex also has a range of brakes specifically for the classic rally and circuit racing scene both pre and post war. For more information at the event head to Cleckheaton Motor Works Garage (near the bike paddocks) or pop Over the Road to the Mintex Classic Tent (stand 372).